There are plenty of SUVs on the market right now, but if you’re looking for a 3-row SUV that can seat up to seven passengers, tow up to 8,700 pounds, and deliver confident HEMI® V8 power under the hood, then come check out our selection of used Dodge Durango SUVs for sale near Salem at Wilsonville Jeep Ram. In addition to its robust performance specs, recent Dodge Durango models are also offered with features like heated seats, leather upholstery, and advanced entertainment features like Uconnect® multimedia and a rest-seat entertainment system. Take a used Dodge Durango for a test drive today at our dealership in Wilsonville! Family Owned and Operated since 1961, come check out the Indoor Facility and experience the best buying experience in the NW! 2017 Dodge Durango GT Clean CARFAX. CARFAX One-Owner. AWD. Reviews: * Unusually spacious third-row seats; 8.4-inch touchscreen is one of the best in the class; assertive acceleration with the V8 engine; exceptional towing capacity for a crossover; real off-road capabilities with 4WD and low-range gearing. Source: Edmunds 18/25 City/Highway MPG FAST and EASY Buying Process, Straight Forward Pricing, Friendly & Knowledgeable Team, STRESS FREE FINANCING Bad Credit Wont Stop You Here, and Committed to Building a Stronger Community! Experience the Findlay Difference today. Finance a Used Dodge Durango Near Woodburn Today! 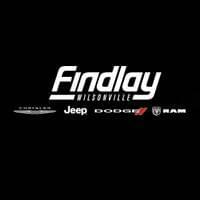 Find the used Dodge Durango along with a variety of other used Dodge and Jeep SUVs right now near Tualatin at Wilsonville Jeep Ram, where you’ll also find a number of Certified Pre-Owned CDJR vehicles for sale. Stop by our dealership today after applying for financing online, and come by our CDJR service center for all your Dodge maintenance and car repair needs in Wilsonville.